With direct access to the beach, this Sorrento Historic Centre hotel is in the city centre and within a 10-minute walk of Chiesa di San Francesco, Piazza Tasso and Marina Grande Beach. Corso Italia and Port of Sorrento are also within 10 minutes. Sorrento Station is 12 minutes by foot. At Continental, spend the day playing on the nearby beach then return to dine at one of the hotel's 3 restaurants. All 83 rooms feature thoughtful touches such as bathrobes and slippers, plus complimentary wireless Internet access and flat-screen TVs with satellite channels. Other amenities available to guests include patios, minibars and room service. Continental features an outdoor pool and a fitness centre. Dining is available at one of the hotel's 3 restaurants. Guests can unwind with a drink at one of the hotel's 3 bars/lounges. Guests can enjoy a complimentary breakfast each morning. Public areas are equipped with complimentary wireless Internet access. 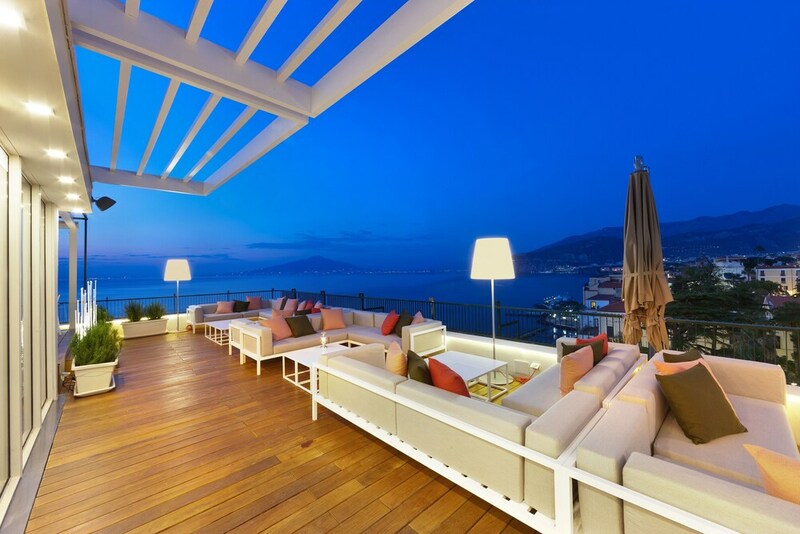 This beach hotel also offers a rooftop terrace, a library and tour or ticket assistance. For a surcharge, the property provides a round-trip airport shuttle (available 24 hours) and an area shuttle. Parking is available on-site at a surcharge. A total renovation of this property was completed in November 2017. Continental is a smoke-free property. Continental has 3 restaurants on site. Start your day with a free buffet breakfast, available daily from 7 AM to 10:30 AM. You can order a meal from room service. All guests, including children, must be present at check-in and show their government-issued photo ID card or passport. Cash transactions at this property cannot exceed EUR 2999.99 due to national regulations. For further details, please contact the property using the information in the booking confirmation. This property offers transfers from the airport and train station (surcharges may apply). Guests must contact the property with arrival details before travel, using the contact information on the booking confirmation. Parking height restrictions apply.